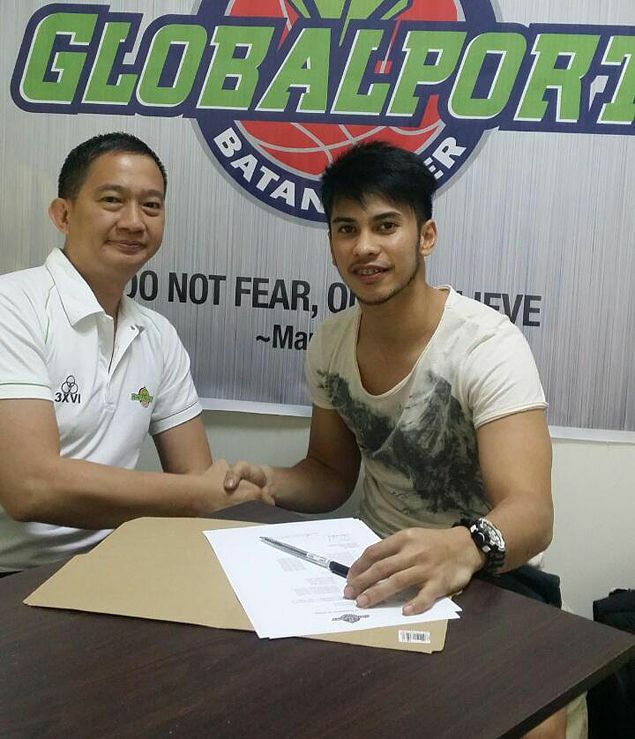 Roi Sumang signs his contract in the presence of GlobalPort team manager Bonnie Tan. ROI Sumang, one of the last players to be taken in the PBA Rookie Draft, became among the first to be signed up when he inked a two-year, multi-million deal with GlobalPort on Tuesday. Sumang’s manager Lawrence Chongson told Spin.ph that Sumang has signed a contract with GlobalPort, just two days after the projected first rounder fell to the third round in the draft at Robinsons Place in Manila. He declined to divulge details. “Masaya kami na mapabilang sa grupo ni Boss Mikee. Isa siyang champion team owner and we are elated that he opened the doors for us,” said Chongson. Sumang slipping to the third round came as a surprise for basketball observers after the Tondo-raised player cut a reputation as a high-scoring guard with the University of the East Red Warriors in the UAAP. Sumang, a former UAAP Mythical Five member, said he is very happy to be welcomed with open arms by the whole team since attending his first practice on Monday. “Nagulat ako na sobrang welcome ako sa GlobalPort. Sila pa itong parang bino-boost ‘yung morale ko,” said Sumang. Sumang said he has put the draft snub behind him, adding he is determined to repay GlobalPort’s trust in him. “Kahit third round pick ako, para sa kanila, first round pick ‘yung turing nila sa akin. Kaya talagang pursigido ako na suklian ‘yung tiwala nila sa akin,” Sumang said.